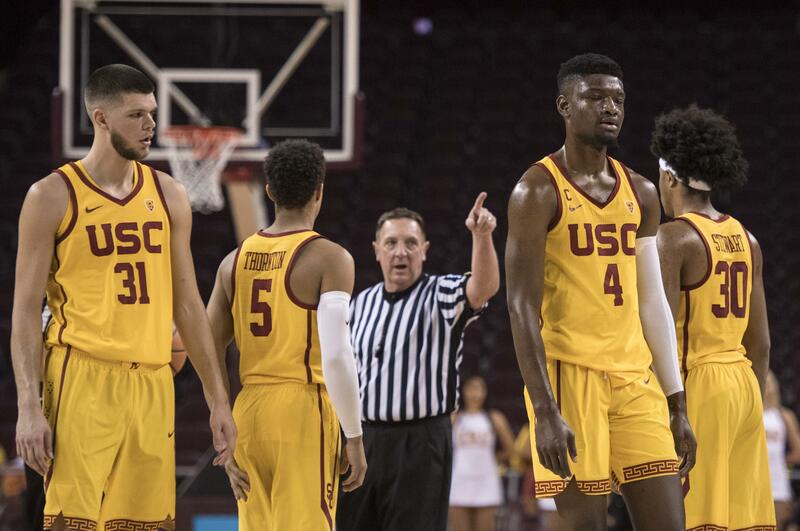 The Pac-12 Conference has affirmed the disciplinary action taken by USC to suspend forward Chimezie Metu for a flagrant foul on Washington State’s Carter Skaggs in the first half of Sunday’s game between the Trojans and Cougars at the Galen Center, commissioner Larry Scott announced on Monday. Metu will be suspended for the first half of USC’s next game against Cal on Thursday and will forfeit his team captaincy. The preseason All-Pac-12 selection was ejected from Sunday’s game – an 89-71 USC win – when he swung a closed fist into Skaggs’ groin after the WSU sophomore released a 3-point attempt. The conference won’t assess any further penalties to Metu or USC. Kent said he didn’t have clear sight of the play as it happened. Metu is a projected first-round NBA Draft pick who’s averaging 17.8 points per game and 7.6 rebounds per game this season for the Trojans. Published: Jan. 1, 2018, 9:07 p.m. Updated: Jan. 1, 2018, 10:08 p.m.